Navigating legal and administrative barriers while implementing citizen science and crowdsourcing projects at the federal level can be complex and confusing. The Commons Lab published a report earlier this year, Crowdsourcing, Citizen Science and the Law: Legal Issues Affecting Federal Agencies, which examined in depth the legal issues, such as the Paperwork Reduction Act and Antideficiency Act, that federal citizen science initiatives will have to comply with. This excellent research produced a wealth of knowledge on the topic. In order to make it more accessible we condensed the 116 page report into a web-enabled policy tool which allows federal project managers navigate and understand these issues before they embark on citizen science initiatives. 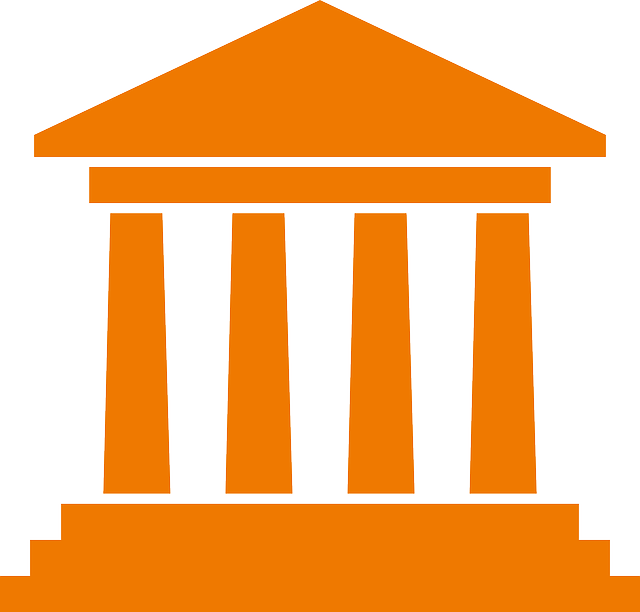 The tool is hosted on the Wilson Center website and may be accessed here. A new peer-reviewed journal focusing on advancing the field of citi zen science will be making its debut later this year. Citizen Science: Theory and Practice will bring together citizen scientist practitioners, researchers, educators, evaluators and many more in an open-access forum to discuss and share best practices for conceiving, developing, implementing, evaluating and sustaining projects that facilitate public participation in science. The journal is to be published by Ubiquity Press on behalf of the Citizen Science Association. The journal aims to support citizen science by creating a centralized venue for the exchange of citizen science scholarship across disciplines. The hope is that citizen science will gain greater visibility and that key ideas can be included in the growing organization of academia rather than being shared narrowly among dispersed groups of citizen scientists and their networks. Researchers who are conducting projects using citizen science are encouraged to submit their findings to the appropriate discipline-specific journal and to use the keyword “citizen science”. Through publication scientific findings resulting from citizen science can then reach the scientific audiences in relevant disciplines and help to advance the field. While it is clear that citizen science has revolutionized the methodology behind collecting and analyzing data, how have these processes impacted the traditional nature of scientists whose conduct of research is often socially detached and highly sophisticated? As the relationship between citizens and scientists continues to evolve, their collaborative role in the production of knowledge has become the topic of new research by Jennifer Shirk and Scott Peters at Cornell University. Peters and Shirk are exploring the complex social relationship between the interests of scientists and their engagement with the public during the conduct of citizen science. By examining the work done by nine PhD scientists, who have significant involvement in citizen science projects, they found that this relationship goes well beyond aggregation and interpretation of data. In fact, the relationship of scientists and their citizen counterparts has developed into one that combines diverse perspectives to facilitate an integrated dialogue for learning and action. The results of the study will be presented at the American Association for the Advancement of Science’s 2015 Annual Meeting in February. The results of this study will be used to inform a subsequent legal and policy analysis of the key barriers, which in turn will be used to suggest alternatives for addressing these barriers. From July to August 2014, the Commons Lab conducted 27 interviews with personnel in four federal agencies – two regulatory agencies and two science agencies. These conversations took place on the phone and in person with four different levels of personnel: agency executive, program office, field office, and stakeholder. Interviewees were given the option to remain anonymous,to take comments off the record if needed, and to withdraw at any time. Interviewees were sent a copy of the questions in advance, as well as a copy of their transcript for vetting and approval. As the field of citizen science grows rapidly, multiple factors are emerging to consider and troubleshoot. In a recent article, “Next Steps for Citizen Science,” published in the journal Science, the authors outline a roadmap for the opportunities and challenges that lay ahead as the field begins to emerge. The authors’ main call is to build capacity in the field through open-source data management and analysis and project management and evaluation services. By fortifying these services, the field can address the skepticism that comes with the nature of non-professional data collection. Training for data-gathering. Women from Komo (Republic of the Congo) learning to map in the forest, as part of the Extreme Citizen Science (ExCiteS) Intelligent Maps project. Photo Credit: Gill Conquest, EXCITES, University College London. One of the many benefits of citizen science are the dual scientific and social goals that can be realized through community-driven research, according to the article. These initiatives capitalize on “under-utilized local knowledge to uncover or regulate air and water quality, deforestation, and rare species distribution questions.” Building infrastructure capacity to maintain these partnerships will strengthen the role science plays in society. The authors say another challenge is the growing number of citizen science projects. As technology empowers and enables communities to begin their own projects we have seen a proliferation and a variety of repeat projects. This results in either repeat data collection or loss of power in large datasets. To avoid redundancy, the field needs to do a careful inventory of existing projects. The article ends with an introduction to the newly formed international Citizen Science Association which aims to promote and support best practices in the field. This association could manage a network of regional “Citizen Science Centers” which would aid local projects in data collection, protocol development, data management, analysis and sharing, the authors say. Technologies are usually developed to accomplish a handful of tasks, while mapping technologies are usually made to represent only a limited number of things. While they are being developed, and afterward when they evolve,developers make decisions to allow some things to be mapped — and, by consequence, others to be excluded. These decisions are usually made after some deliberation. These are knowledge politics: The struggle for how knowledge will come to be included or excluded in technologies. This line of thinking has a long tradition that shows how values, biases and norms come to be embedded in technologies. 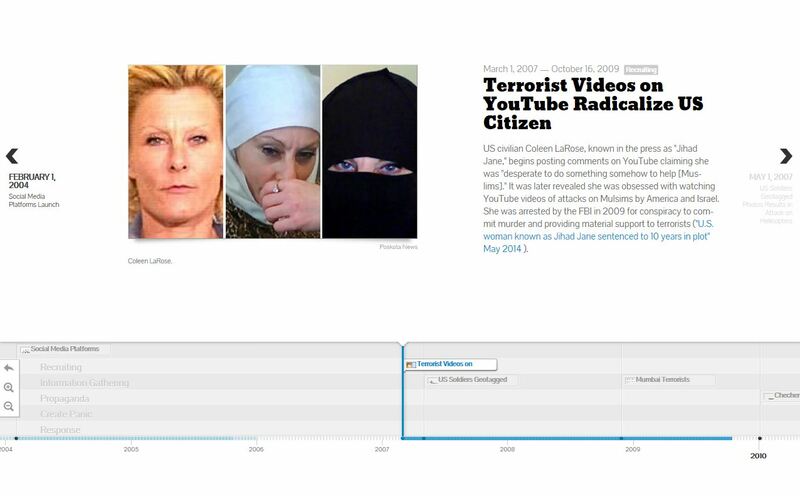 In my article in the January issue of Geoforum, “Moments of Closure in the Knowledge Politics of Digital Humanitarianism,” I examine four moments when digital humanitarian technologies took one such development path over any others. I explore when there was a deliberation about how digital humanitarian technology should develop/evolve and look at the possible effects of those decisions. Leaders in disaster response are finding it necessary to adapt to a new reality. Although community actions have always been the core of the recovery process, collective action from the grassroots has changed response operations in ways that few would have predicted. Using new tools that interconnect over expanding mobile networks, citizens can exchange information via maps and social media, then mobilize thousands of people to collect, analyze, and act on that information. Sometimes, community-sourced intelligence may be fresher and more accurate than the information given to the responders who provide aid. 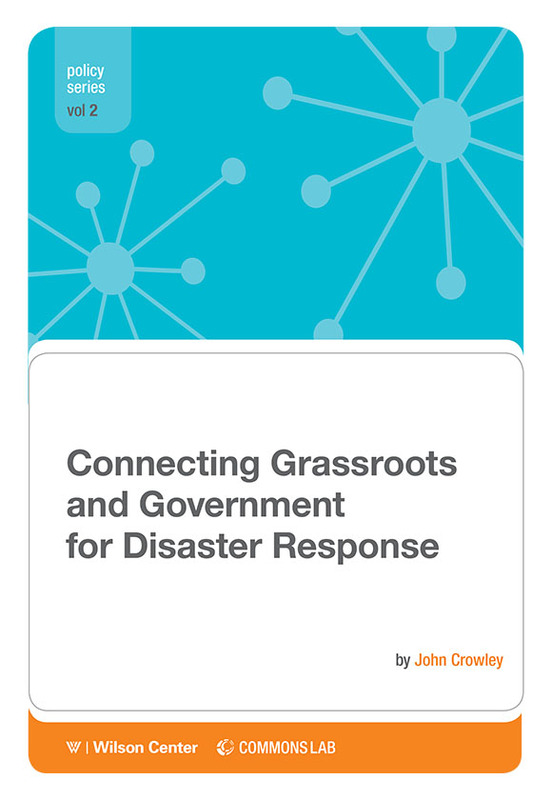 The Commons Lab has released Connecting Grassroots and Government for Disaster Response, a new report by Public Policy Scholar John Crowley that explores approaches to the questions that commonly emerge when building an interface between the grassroots and government agencies, with a particular focus on the accompanying legal, policy, and technology challenges. Also see the companion report from our September 2012 workshop, written by Ryan Burns and Lea Shanley, as well as a series of videos from the workshop and podcasts with workshop participants. The growing use of social media and other mass collaboration technologies is opening up new opportunities in disaster management efforts, but is also creating new challenges for policymakers looking to incorporate these tools into existing frameworks, according to our latest report. The Commons Lab, part of the Wilson Center’s Science & Technology Innovation Program, hosted a September 2012 workshop bringing together emergency responders, crisis mappers, researchers, and software programmers to discuss issues surrounding the adoption of these new technologies. 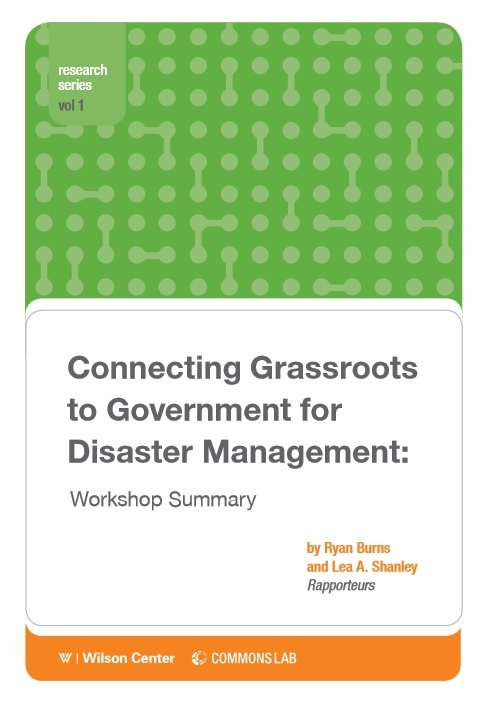 We are now proud to unveil “Connecting Grassroots to Government for Disaster Management: Workshop Summary,” a report discussing the key findings, policy suggestions, and success stories that emerged during the workshop. The report’s release coincides with the tenth annual Disaster Preparedness Month, sponsored by the Federal Emergency Management Agency in the Department of Homeland Security to help educate the public about preparing for emergencies. The U.S. Geological Survey (USGS) and other scientific institutions are using social media and crowdsourcing to learn more about earthquakes, according to a new report. These techniques provide inexpensive and rapid data to augment and extend the capabilities provided by traditional monitoring techniques. 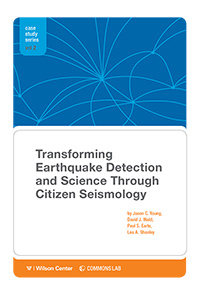 The new report, Transforming Earthquake Detection and Science Through Citizen Seismology, released today by the Commons Lab at the Woodrow Wilson International Center for Scholars, outlines these groundbreaking citizen science projects.